Lower level 3 bedroom in one of Ottawa's most prestigious neighbourhoods, tastefully decorated, with 3 free parking spots and bus stop nearby. There are 2 separate entrances available for your convenience. 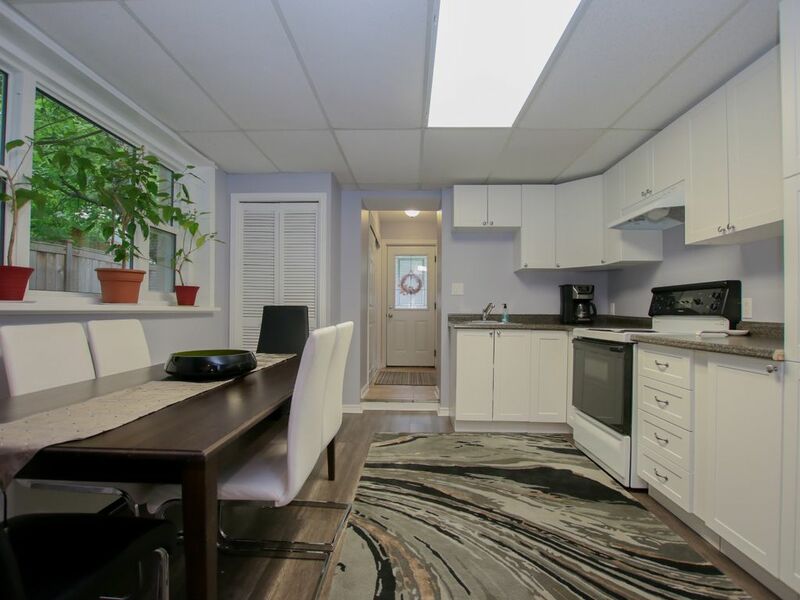 Newly renovated throughout, new kitchen, new fridge,new bathrooms and laundry onsite. The kitchen is spacious and well equipped. Take a walk in the prestigious Rockcliffe neighbourhood and stop by the Governor General's Rideau Hall - just a few minutes walk. This property offers privacy and yet you are minutes from everything, at a very affordable price. Great location unit was even bigger than we expected. Bright unit with plenty of space, well laid out with separation between bedrooms for added privacy.We went with 6 adults and a baby and sometimes had to search for each other. There is plenty of room to get away from each other or to spend time together. We had everything we needed for a home away from home. The hosts were super friendly and made sure we were well taken care of.We enjoyed our stay and would gladly return. Is big, it is bright, beautifully decorated and totally affordable (staying at a hotel we would’ve needed 2 rooms with our teenage kids). We were minutes from downtown, we had a nice visit and caught our favourite Senators vs. Canadiens hockey game. Also, the welcome basket full of all kinds of goodies and a wine bottle were a very nice touch. From now on, every time we come to Ottawa this where we’ll stay.